Mrs. Alison-Madueke left Nigeria on May 23, 2015 on a British Airways flight. Then President-elect, Muhammad Buhari, was also on the same London-bound flight, raising speculations that the former minister might have hurriedly booked herself on the flight for the opportunity to talk to Mr. Buhari. 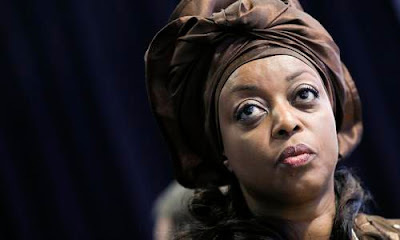 However, a source on the flight told SaharaReporters that the then president-elect quietly but firmly discouraged all efforts by Mrs. Alison-Madueke to hold a conversation during the 6-hour flight.